Yahoo CEO Marissa Mayer is pregnant and expecting identical twin girls in December. Mayer made the announcement Tuesday in a post on her official Tumblr page, saying the "twins part was quite a surprise." The CEO said she has shared the news with Yahoo's board of directors, and described them as "incredibly supportive." "Since my pregnancy has been healthy and uncomplicated and since this is a unique time in Yahoo's transformation, I plan to approach the pregnancy and delivery as I did with my son three years ago, taking limited time away and working throughout," Mayer said in the Tumblr post. A Yahoo (YHOO) spokesperson confirmed that Mayer is pregnant, adding that the company is "extremely happy for her and supportive of her plans and approach." Mayer has one son, Macallister, who was born in 2013. Yahoo shares have fallen by more than 35% since January, complicating Mayer's efforts to revive the struggling tech firm. The CEO faces a major challenge later this year, when Yahoo is expected to spin off its remaining stake in Alibaba (BABA). Buyers might be scared away by slower sales growth and allegations of fake goods on Alibaba's Taobao and Tmall platforms. 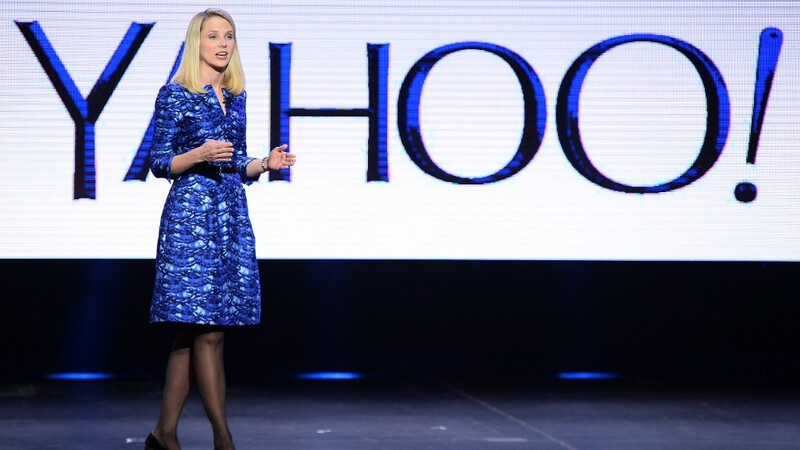 Many investors remain unconvinced that there is much value in Yahoo's core business.